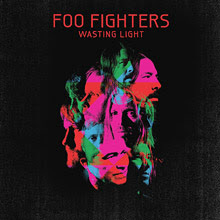 Foo Fighters return with their seventh studio album, 'Wasting Light', which has received middling to good reviews thus far. You can judge for yourself though as it's available to stream in full below, prior to its April 11th release date. And seeing as the band put up their brilliant acoustic version of 2003's 'Times Like These' on Soundcloud, I figure I might as well pop that here too. Pre-order 'Wasting Light' at amazon.co.uk.